To complete his training and prepare for launch Luca faced three important examinations last month. He will tell us more about each exam in following posts. The first exam – a simulated fast-track flight – is rather new: this is only the second time that it has been done. A standard Soyuz voyage to the International Space Station takes over 34 Earth-orbits and lasts two days whereas we will travel in a Soyuz spacecraft that will rendezvous and dock with the Station on the same day. This exam is a faithful reproduction of what we will do on launch day but we hope we will not face the failures and issues we did during the simulation! 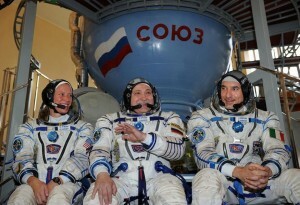 In the Soyuz I sit on the left-hand-side, Fyodor, the commander, sits in the middle and Karen is on his right. We worked together to achieve a quick rendezvous in six hours from launch to docking. This approach is still in a test phase but it is supposed to become the standard rendezvous method. The main advantage of this approach is that it uses less resources such as oxygen, water and fuel. Our exam began at 9:00 and we dressed up in our space suits to enter the simulator. First we picked an envelope under the watchful eye of the examiner’s commission. The envelope contained a list of failures we needed to overcome in the simulation. Once in our places in the simulator, we began the test with a launch followed by various approach phases to the Station during which we encountered the problems and emergencies. The exam finished with a manual rendezvous and docking. The language used during the exams is exclusively Russian. This As you can imagine, you have to have a very good command of Russian. In cases of emergency or critical moments we need to be able to respond quickly and correctly. We achieved a very good result, especially if you consider that we did not have much time to train for the fast-track approach since we were only authorised for this flight profile a few weeks ago and the simulators were not even ready yet! Our flight will be the first fast-track with an international crew and I will be the first non-Russian co-pilot to do this type of approach and rendezvous. The commander and I need to work independently throughout the first phase of our journey: from entering Earth-orbit to engine ignition and ’parking’ the Soyuz in a stable orbit compared to the International Space Station. To work independently the commander must trust abilities. The instructors and the people at the control centre rely completely on how I do my job. The commander does not have the time to monitor what I do, nor do I monitor him. It was an extra challenge, but I was greatly satisfied to see that commander Fyodor has total confidence in the way I work and in my expertise. 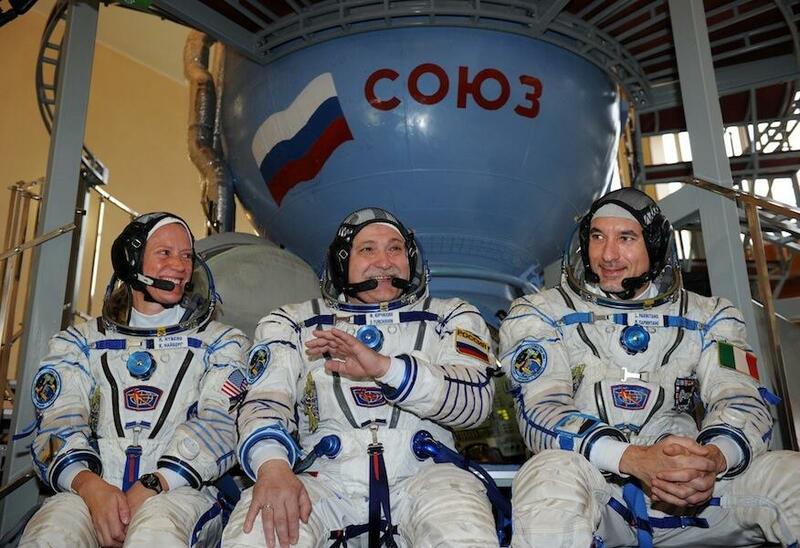 Here in Russia they are starting to trust this young rookie that has never flown in space before: me. I am the first European and the first non-Russian engineer to fly on a Soyuz under the fast-track approach to the International Space Station. It is a huge accomplishment for the Italian Space agency, the European Space Agency and myself: a showcase that the system works well. I have confidence you can do it. I look forward to launch in a few days and will be following online. Success to you all.